Silent star and showgirl Dorothy Elizabeth Sabiston was born on April 26th, 1903 in Birmingham, Alabama, to Robert and Stella Sabiston. By all accounts she had a normal, middle class, happy childhood. Dorothy inherited her mother's talent as an artist and even supported herself during lean times by making portrait sketches. Dorothy left college early, did some modeling, and decided to try her hand at the theater. She was cast in the popular musical stage revue "George White's Scandals", and it was George White who gave her her nickname "Little Alabam", because of her Southern accent. It was during this time she was noticed by an agent and signed under contract to M-G-M. Arriving in Hollywood she had her first screen test with director Henry King, for the film "Sackcloth and Scarlet" (1925). Dorothy won the part. She went on to a number of successful films such as "Our Dancing Daughters" (1928), with Joan Crawford and Anita Page, "Spite Marriage" (1929) with Buster Keaton (no doubt her most challenging role), "A Woman Of Affairs" (1928), opposite Greta Garbo and John Gilbert, and the early successful talkie precode "Our Blushing Brides" (1930). Dorothy was married three times. Her first marriage took place when she was only 17 years old, a secret marriage to her high school sweetheart Al Stafford. The marriage ended in divorce in 1924. Her second marriage was to actor William Boyd, better known as "Hop Along Cassidy". They were married in 1930 and divorced 6 years later. Her third and final, and by all accounts happy marriage came in 1946 to Herman Shapiro, and they remained married until her death in 1957. She was once engaged to famous film director Clarence Brown. Dorothy continued appearing in talking pictures in supporting roles until 1948. Dorothy is probably best remembered today in silent film fan circles for her long love affair with comic legend Buster Keaton. Depending on who you ask, their love affair lasted between 2 and 10 years. It was an open secret in Hollywood, and possibly negatively affected the type of roles that Dorothy was signed for. Buster was in an unhappy marriage with Natalie Tamadge at the time. He found Dorothy to be the exact opposite of his wife: fun-loving, full of life, and possessing a love for practical jokes. However by 1930 Dorothy began to want to settle down. While Buster was away in Europe she fell in love with William Boyd, her co-star in several pictures. After her marriage to William failed Buster and Dorothy got back together briefly, until Buster met Eleanor Norris in 1938, whom he later married. 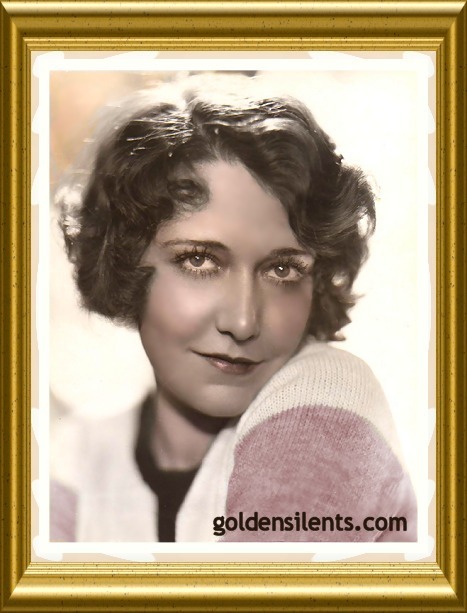 Dorothy died of cancer on April 8th, 1957, in Woodland Hills, California, but will always be remembered by silent film fans as a talented and lovely supporting actress of the silent and early talkie eras.